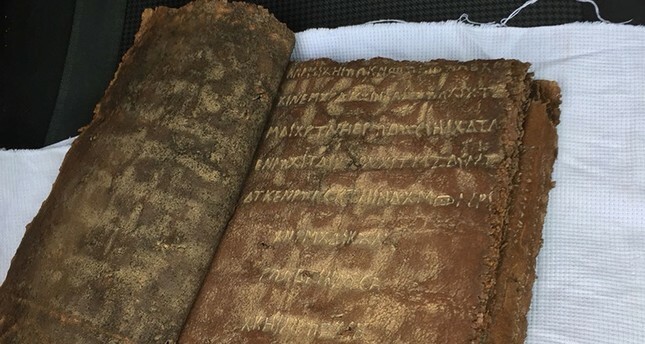 Police carrying out routine road checks in Turkey's central Niğde province confiscated an ancient bible inside a vehicle, reports said Saturday. According to reports, the Bible was confiscated inside a vehicle belonging to driver Sertip B. accompanied with Syrian nationals Darsim H., Sowd H. and Iraqi national Muhammed H. on the Aksaray-Adana highway. The suspects were detained by police, reports said, adding that an investigation has been launched into the incident. The bible manuscript is written on leather and is believed to have historical value. The smuggling of historical artifacts into Turkey from conflict-ridden neighboring Syria has significantly increased in recent years, especially with the rise of terrorist groups, according to figures. Turkey, meanwhile, has stepped up its border security, leading to a rise in artifact seizing as well.